InfoComm International, the trade association representing the commercial audio-visual and information communication industries, recently announced their election results for the 2014 InfoComm International Board of Directors. The announcement saw Electrosonic’s Sarah Joyce, Vice President for Europe, Middle East and Africa (EMEA), appointed to serve a two-year term on the board. Sarah has 17 years’ experience within the AV industry where she has worked in a variety of disciplines, including executive management, business development, product marketing and strategic human resources. Sarah was the sales director at DRV when Electrosonic acquired the company in 2010. At Electrosonic, she led the integration process and subsequently developed Electrosonic’s corporate global account management programme. 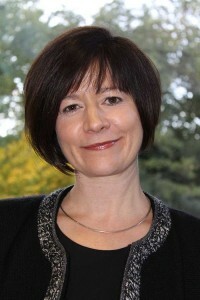 In September 2012, Sarah was promoted to Vice President EMEA. InfoComm was established in 1939 and has over 5,000 members. It is the leading resource for AV standards, market research and news. From offices around the world, InfoComm serves its members and the industry through education, resources and events. Electrosonic currently holds InfoComm’s ‘Diamond Certified AV Solutions Provider’ status.